The foot saga continues (in a good way at least) in that my custom boot is now ready. Of course it’s a prototype and a “work-in-progress”, and we hope to improve future additions as I discover what works and what doesn’t, but it’s a start and a big step away from my old lumpy grey plastic boot. This one, ok, whilst only slightly less lumpy, is at least a little more camouflaged in basic black. This is only the second shoe the company have ever made where the entire front section lifts off so that the foot can go in at ninety degrees, so the only way to know if it helps in reality is to wear it. Even though it’s custom made for my foot, I will have to get to know how tight to pull the straps and to see if enough space has been left for my foot to swell when I’ve been standing, or sitting with my foot down for longer. I will have to get used to the pressure of the construction on my skin rather than the airbags that are in the bigger boot. I will have to get comfortable with wearing it for longer periods of time. They suggested starting with just five minutes, practicing balancing and generally getting used to it without overdoing it. We already see some gaps between the two sections that are going too need adjusting in a future boot, in the meantime I’m looking forward to leading the way in this experimental shoe design. I care less about the look, by now there have been too many hours of tears and pain to start quibbling about if something is enough of a fashion statement, “functional” will do be perfectly well and I’m happy to help make it more and more functional and fashionable later into the future. That said I have also reached the stage where if I had to choose between something that looked fabulous and something that didn’t, but did the job better, I’d go for function over form every day of the week. At least we are trying something new, looking at alternative ideas and making the best of a nasty situation. 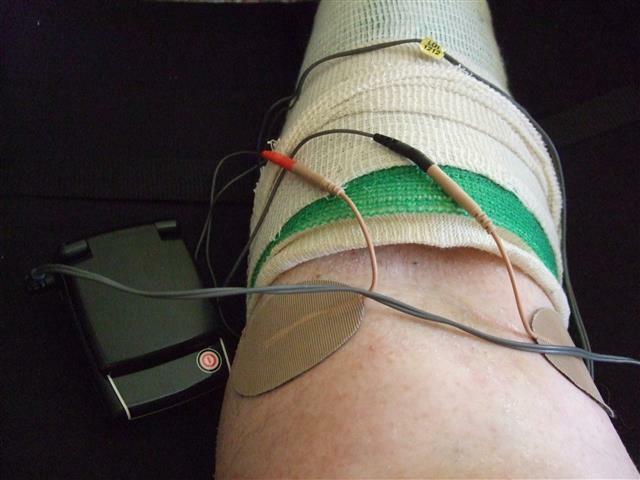 Many of you will know about my ongoing medical treatments as I struggle with recovery after an accident. 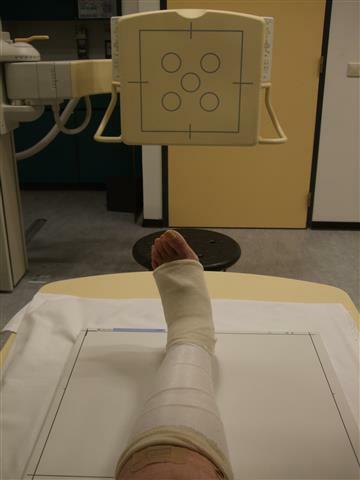 My latest update is about a trip to The Erasmus Hospital in Rotterdam and some tests into how bad the damage in my foot is. Dystrophy has many symptoms, one of them is that the part affected is very cold: something that has been plaguing me since the first operation back in 2010. 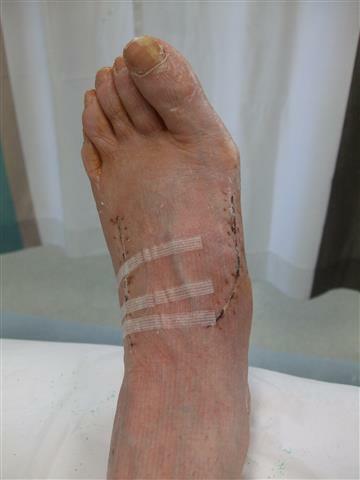 One possible thought about the possible cause of this is that blood flow gets restricted because circulation becomes poor, and so a series of tests needed to be carried out to see if my circulation in general is poor, and if good or not, how the circulation in my foot relates to that. We started with blood tests because many o f the drugs and pain treatments so far are known to have adverse effects on the liver, if the tests show that my liver function is being damaged then these treatments will have to be halted. I’m far from squeamish when it comes to needles, in fact I quite like to see them go in and I find the whole process of taking blood rather fascinating. Sadly I do not have the same strong stomach when it comes to anyone throwing up, be that man or beast and I have given thanks many a time that my kids have vomited rarely and that their father was present on each occasion to take the reins and do the honours (or horrors, as the case may be). Blood tests completed they took my blood pressure in each arm, something I was expecting. What I did not expect however. 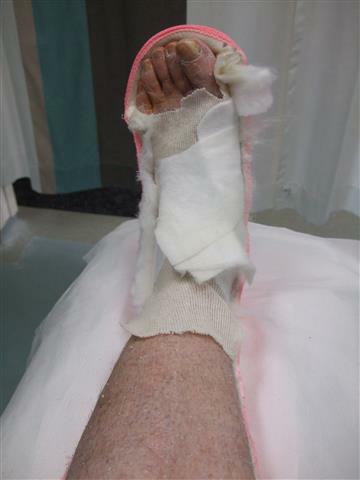 was the removal of the cuff to my right foot, where they took blood pressure again. Suddenly it dawned on me that they intended to do the same on the left foot and I quickly informed them that this was not an action that was going to end well. Dystrophy also produces extreme pain in the afflicted area, and pain treatment is exactly why we are here, so the mere idea of pumping up a blood pressure cuff on the part of the body that hurt the most was enough to break me out in a cold sweat. Both nurses saw that this wasn’t going to work, so they tried the next best thing: the cuff around my left ankle, which avoided me screaming down the hospital, to the relief of everyone in the room. Mission accomplished we are set to try yet another treatment, and soon… it will run along side the Ketamine cycles and we hope bit by it to chip away at the over all pain level. Everything is experimental but all of it is worth a try. The good news from these tests is that my blood pressure is fine with the exception of my foot which manages to remain a small mystery. Some of my regular readers know that six years ago I had an accident that started out as a small “incident” but has ended up having life changing effects. Due to the industrial practices short-cuts of the company I worked for in New Zealand, I sustained chemical lung damage and needed large doses of steroids to get my asthma and COPD under control. 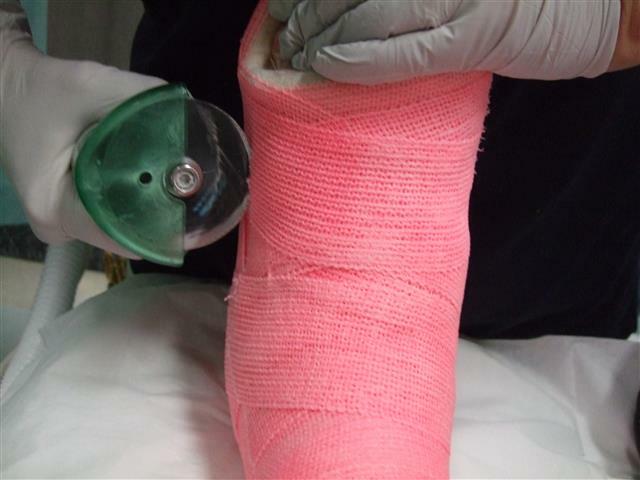 These steroids in turn made my bones thin, which had disastrous results when I met a Dutch staircase at the end of 2010 and broke three metatarsal bones and shifted the two rows of bones directly under my ankle to the right by more than one centimeter. 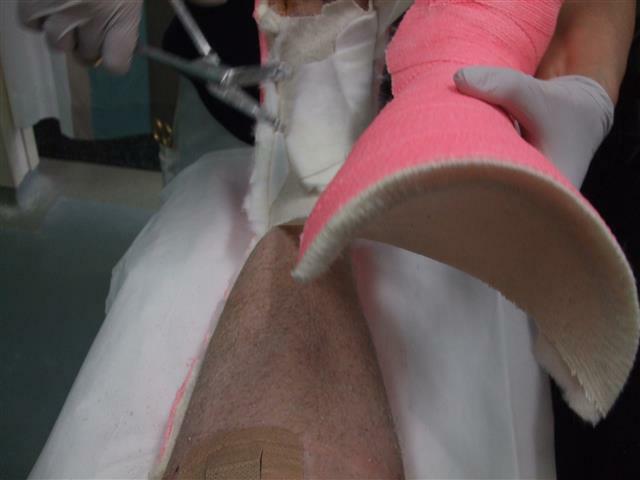 A second surgery four and a half years later added six screws as the two errant rows of bones were hauled back into place, but dystrophy and CRPS (Complex Regional Pain Syndrome) have been my biggest problems during this six year ordeal. The medical community appear to agree that fixing the extensive damage is no longer possible so we are left with getting the pain under control and trying to make life as “normal” as possible. Six years on I am still walking with the aid of crutches because most of my left foot does not function, and is too painful for me to attempt to put weight on to it. 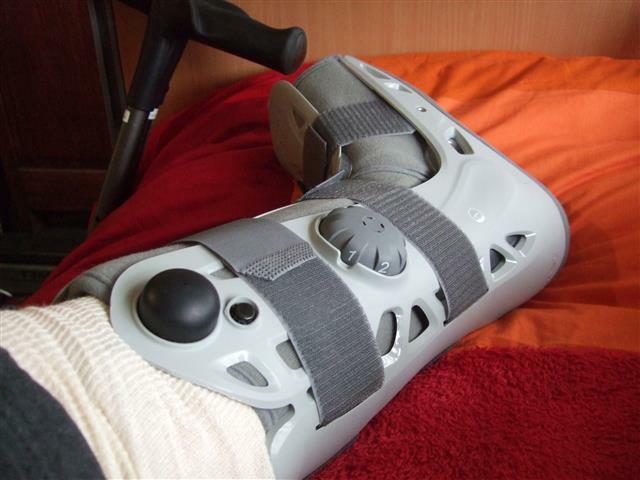 Walking without any form of support is beyond painful, so middle of the night trips to the lavatory are both a relief and torture, and the temporary boot that I had when I left hospital is now ready for a more permanent replacement. With this in mind I was referred to a specialist shoe company which to my amazement has been in business since 1781. 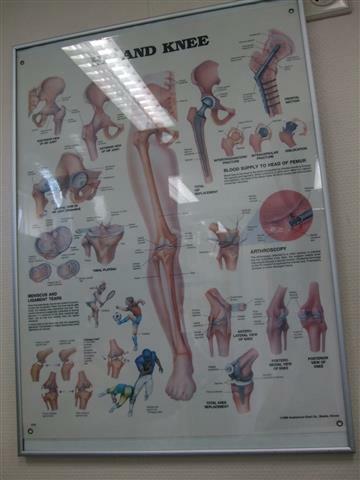 The company has a notice in their waiting room which (when translated) reads: “We have been doing our best for people both with and without foot problems since 1781. By being committed to constantly evolving, providing excellent care and service, investing in knowledge and innovation, we are able to provide our clients with unique, comfortable and fashionable customized shoes. 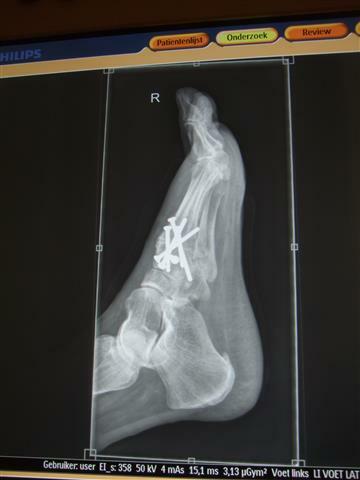 I have already been for several consultations and met a team of seven that include shoemakers, an orthopedic surgeon and pain specialist, so that all of the issues in the foot can be addressed and my particular limitation discussed. Even though this company have been around for centuries, the fact that my foot does not bend at all means that my shoe needs to be an experimental model. It is only the second time they have attempted one with a ninety degree entry and the first one was also made only recently. My shoe needs to have a lift-off front, but before they can do anything a “mold” of my foot needs to be made from which my own custom made wooden last can be made. 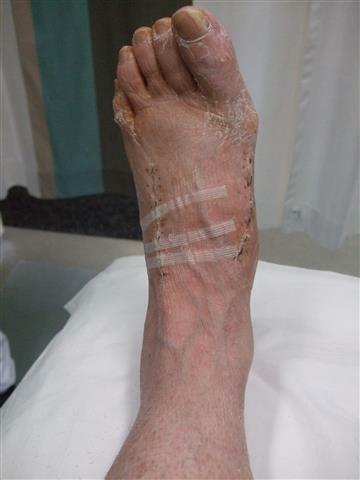 This involved a thin plastic form that was formed around each foot. The right foot was of course easy: no pain there, but my left foot is desperately painful to touch so it was a matter of sticking it out until the job was completed. Now I am back to see if the form made from the custom wooden last is a good fit before they go ahead with trying to make the boot. The boot illustrated on the computer isn’t what mine will be like, but will incorporate elements of the design. The left foot needs full support so will be a boot, the right hand side will be a regular shoe, also custom made because both need to be the exact same height. It’s a little bizarre seeing replicas of your feet laying on the table. Everything in this story is a process, another “step” in the journey to the best recovery I can hope for. Isn’t it annoying to find out that you have been paying far too much for one product when an almost exact copy of it sits nearby for literally a fraction of the price? Yes, it’s just happened to me. I feel like an idiot who was caught out for not paying enough attention, but as the saying goes, “Fool me once, shame on you; fool me twice, shame on me“. I will not be caught out a second time with this product at least. So, What am I ranting about? First I need to fill you in on the background. The pain medication for my foot injury is morphine based and the dose has been rising becuase the dystrophy got worse after last year’s surgery. 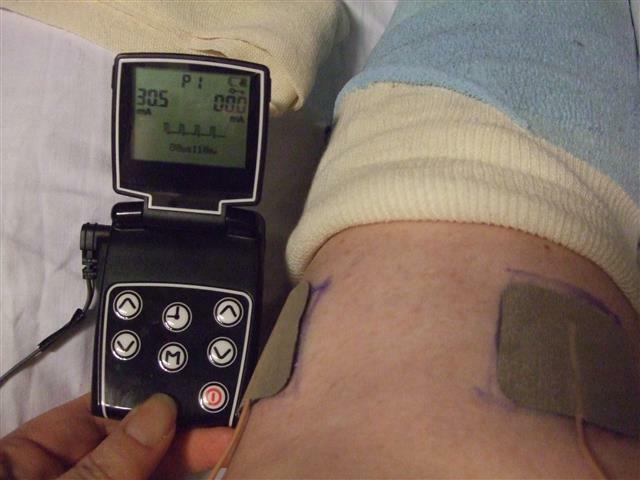 In order to try and keep the medication to the lowest levels possible I have been also using a Tens machine. The point of the Tens machine is to put on the pads and then add a small electric current that causes a decent amount of pain and interrupts / distracts from the constant pain in my foot. 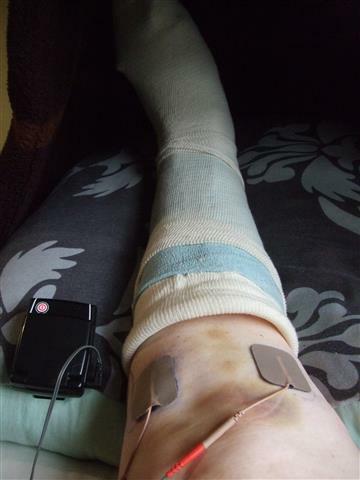 Some months after the 2015 surgery I found out that the supply of the Tens machine pads into which the battery cables “plug” in, was getting low and we needed to order some more. 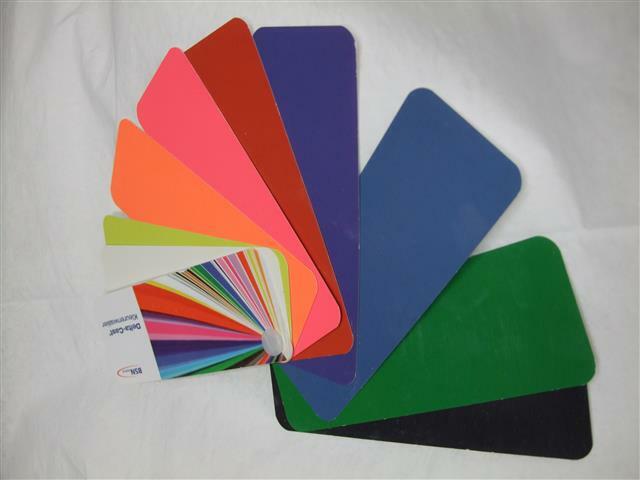 We ordered them from the supplier and were horrified at the cost.. six sets of pads cost almost Euro 50,– !!! Although I have an outstanding medical insurance, the cost of these pads were not covered, I rang them to say that I use them a lot but they said that: “their long term research has proved that the effect of Tens for pain is too hit and miss for them to consider including it in the list of items covered“. They are right of course, some days the Tens helps quite a lot, others not at all but for me any gain is a bonus that may mean one less morphine pill so it’s worth the attempt at least. The downside is that I now need each of these pads to last as long as possible. 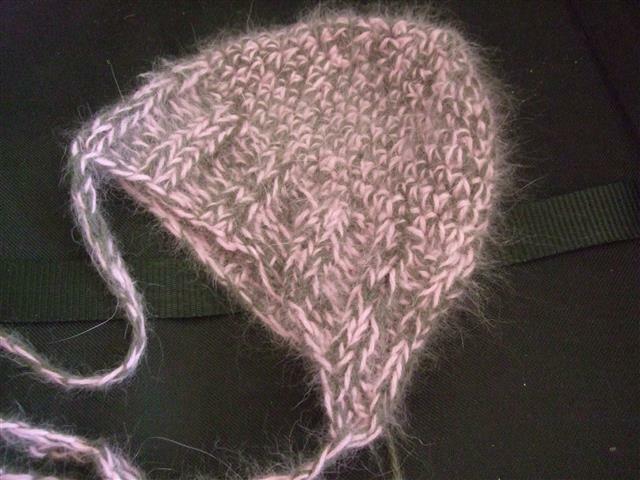 One solution once they start to loose their stickiness on the back is to attach them with medical tape or plasters. The tape is slightly more effective but irritates my sensitive skin really a lot so I’m using plasters as much as possible. The most environmental and economical way to get the plaster is the cut-your-own lengths, and before Christmas I thought I’d hit the jackpot when I saw a box that contained a five meter roll of this plaster. Then I saw the price: Euro 8,49. Ouch, but I bought it and thought that it was better than the small multi packs of different shaped plasters, most of which I wasn’t using because they weren’t big enough. Fast forward to this weekend, Oma is in hospital for a respiratory problem, Himself, Little Mr and I had been to visit her …Himself dropped me off at the Library to drop back my one book (concentration skills means it’s taking me three renewals to get one book read instead of a day or two that I used to be able to manage). Little Mr however had three books that were close to the due date so we combined stuff. Just around the corner was a chemist shop (druggist) so we popped in for more plasters. I can’t bend down really low without extra pain in my foot so it was sheer chance that we saw another item on the bottom shelf: A value pack of almost the same plaster, but this time in one meter lengths. Cost? Euro 0,35 cents! Um, what? Hang on, if I get five packets of these I will only be paying Euro 1,75 for fiver meters worth and not Euro 8,49 !!! Yes, I know the other one is boxed and pretty, but almost Euro 7,– for a bit of cardboard box packaging is a bit steep wouldn’t you say? 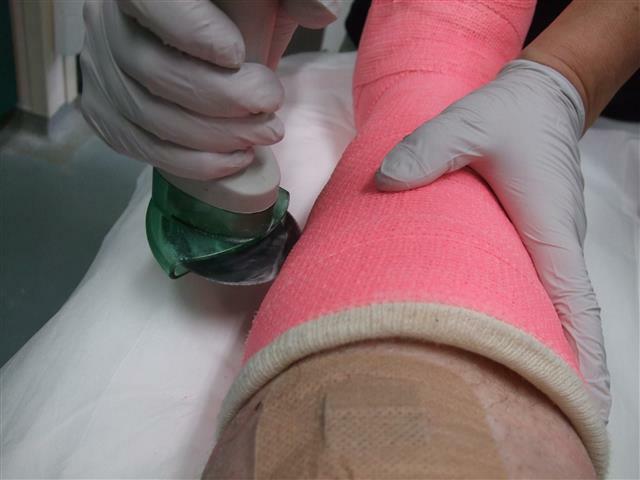 Needless to say I will not be making that expensive mistake again, I’ve tested it already and the plaster sticks the pads down just as good as the boxed one did. One thing is for certain, it’s well worth your while to pay attention to what is lurking on the bottom shelf, not only in the supermarket (where I DO look) but also in other shops too. I’m just annoyed with myself that I didn’t see these little packets earlier. Oh well, better late than never. It’s never too late to discover a bargain, right? 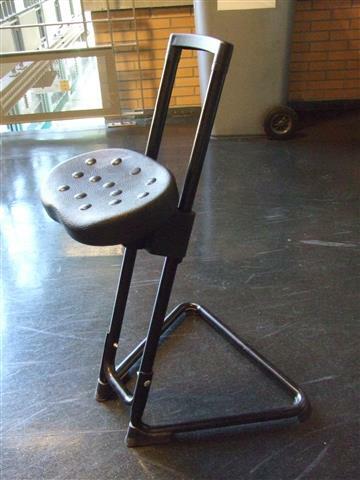 In order for me to stand up for more than an hour a day, my physiotherapist recommended a high stool that had three wheels and a ring around the base for me to rest my foot on. 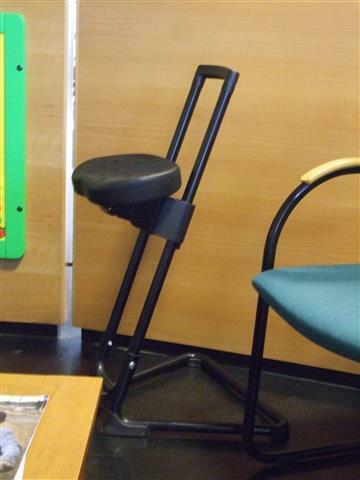 An online search found plenty of five wheeled stools, bar stools galore and large office chairs but no tall stools with three wheels. Five wheels are no good, the idea is that I could use it when I’m trying to stand and cook in my kitchen. The problem is that my tiny galley kitchen isn’t wide enough for any chair with five wheels. 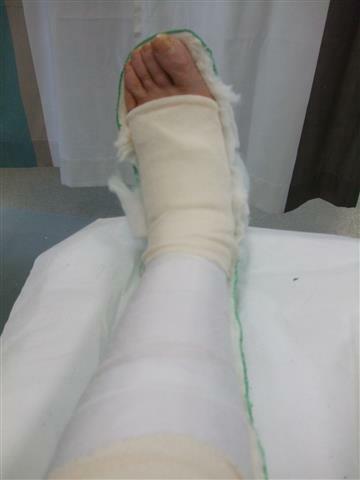 Yet another update on my foot. Time has been slipping past but not always very well for me. 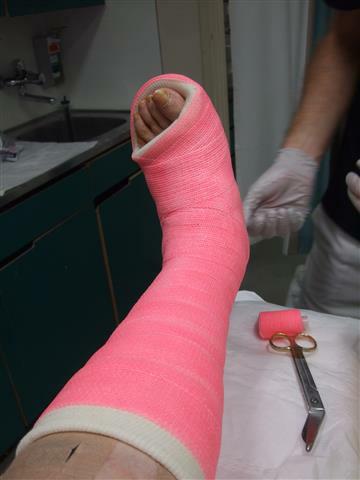 The “walking” cast was less of a walking cast and more of a standing one and it was painful right from the start. It definitely wasn’t too tight, it was just that no matter what I did, I couldn’t manage to be comfortable with it. One of the problems was the height of the “block”underneath, it made standing and walking hard work on my back due to my legs being such different lengths. 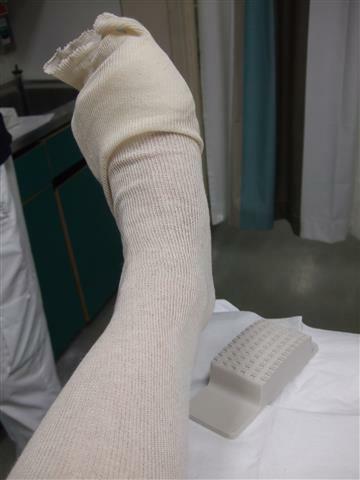 An email to the Plaster department got a reply suggesting that I add a shoe of similar height to my other foot to compensate, but the morphine is making me really dizzy so I decide that back pain is a better option than a tumble off high heels with the possibility of damage to my good foot. 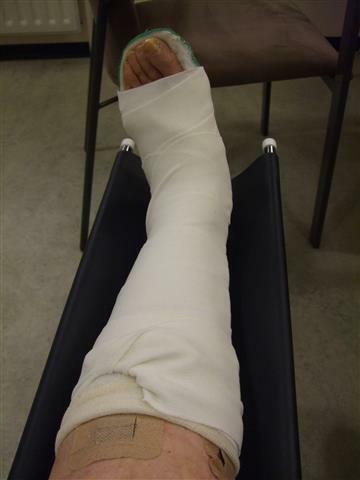 Annoyingly I had as many problems at night as I did during the day with this cast, so started counting down the days until it’s removal almost as soon as it went on. I also ended up taking pain relief as often as I could, so a trip back across the country to the hospital was an anticipated event. 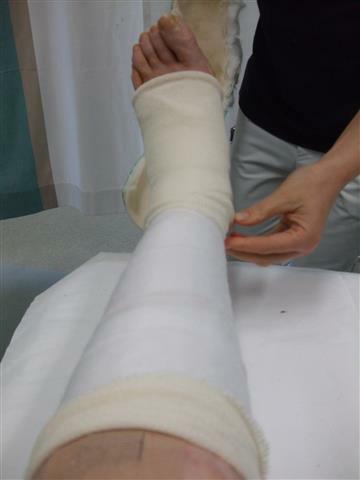 Finially plaster cast number 12 in this foot saga is removed and I gain a walking boot. Not just any walking boot mind you, a walking boot with technology in the shape of left and right side air-bags inside of them. The air-bags can be pumped up via a pump button on the side, and deflated by a smaller button next to it. I’m advised that between nine and twelve “pumps” on the inflate button is about right each side, but this advice is for a foot without dystrophy, and I’m already having trouble getting past three or four presses of the inflate button before the pressure gets unbearable. Again I’m emailing the Pain department in my treating hospital, and getting advice from work doctors as well, advising extended elevation and even more pain relief. 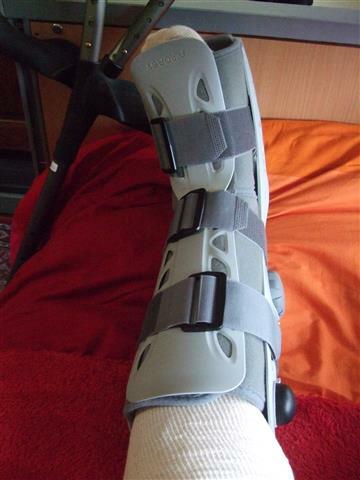 For the moment I’m trying to wear the boot once or twice per day, for at least half an hour. It’s clear that whilst it’s intended that I wear it for three or four hours every day, and use it for support during day to day activities for the next month, that I’m not going to manage it as planned. A good part of the problem is that the moment my foot is no longer elevated it begins to swell, something that I was warned was to be expected, and that a time of “calming down” would be normal. The original idea was that I would wear the boot for a month and then progress to a rigid, stiff shoe, but time will tell if things are actually going to go to plan yet or not. 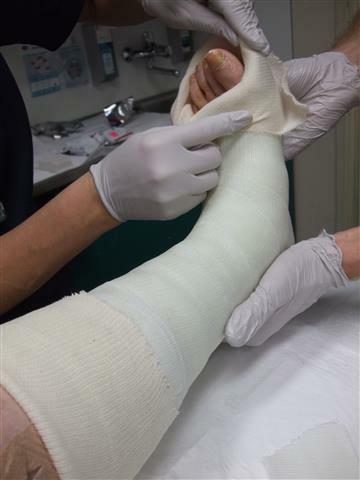 One good thing to come from the plaster cast is that skin encased and not open to the usual exfoliation process that is normal for skin. As soon as the cast is off my skin starts peeling like crazy, and eventually huge lumps of hard, old skin come off both my leg and all parts of my foot. The process was quick and the “new” skin underneath is baby soft. The only pity is that my right foot still needs the attention of a pumice stone because my new found mega-smoothness is of course only on my left foot. 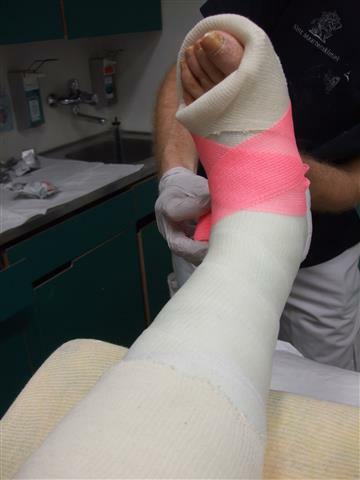 Yet another update on the Frankenfoot Saga because I’ve been busy with medical appointments: pain clinics and work Doctors. 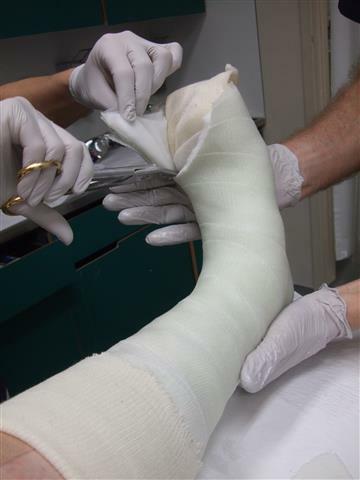 Himself and I have been journeying back and forth around the country to the hospital where I had surgery and on this occasion the non-walking cast was coming off. 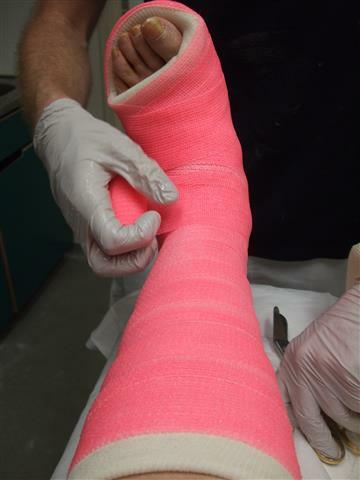 When we arrived in the paster department we joked with one of the staff that after twelve plaster casts I must have had most of the available colours by now, at which point a plaster cast colour chart was whipped out so that I could choose my next colour. Before I could choose, Himself loudly exclaimed with disguest that the bright pink one was horribly loud and “who on earth would want that?“. Just to wind him up I immediately said “I do!” even though anyone who knows me will know that I not a “girly girl” and don’t, and wouldn’t ever possess anything pink in my wardrobe. The staff member helping us burst out laughing at the horrified look on Himself’s face and struggled to compose himself again as I told him “I would like to take your best and brightest pink please!“. 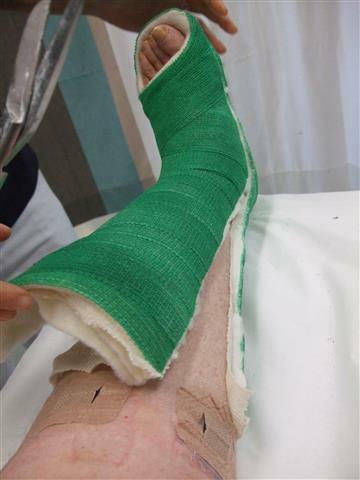 The old green cast was cut off with two long cuts down the sides, rather like cutting a baguette in half horizontally and there was a specific reason for this: it was because I was due to go for x-rays and my foot needed to be supported whilst I went there and back. 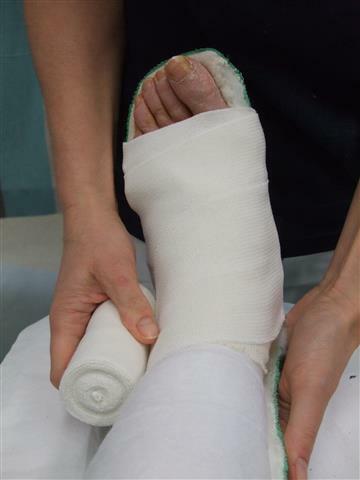 Once my foot had been gently semi-cleaned it was re-bandaged and put back into the lower half of the green plaster cast shell, which was in turn wrapped up for the journey to radiology. 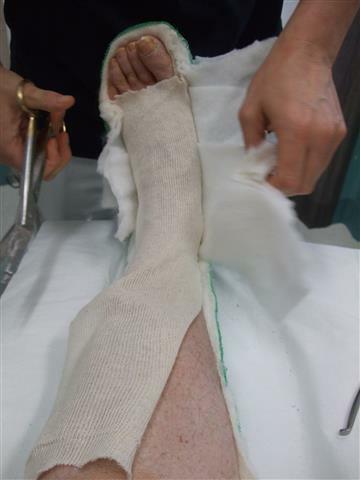 Just the outer layer of bandages and the protective green cast were removed for the photos to be taken, and then everything was re-wrapped for the journey back. I asked if it might be possible to see the images that had just been taken and the friendly staff in radiology wheeled me around into the staff booth to see the screens. The six titanium screws were clear to see, and although of course during conversations with the surgeon I’d been told about them, I was surprised because they were quite a lot bigger than I’d imagined. It was also nice to have photographs on my camera that I could show family and friends because they too were curious as to how my new hardware had been placed. 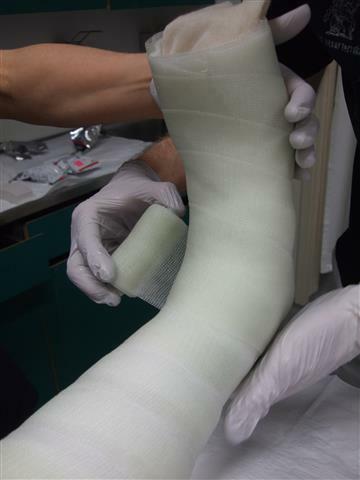 Back in the plaster department they bought out a white plastic block and placed it on the bed, explaining that “walking cast” was not quite the right term, rather I was going from a non-weight baring cast to a weight bearing one. The purpose of the screws is to hold the bones together and the idea is that whilst I’m in plaster the two sets of bones knit together to become one. 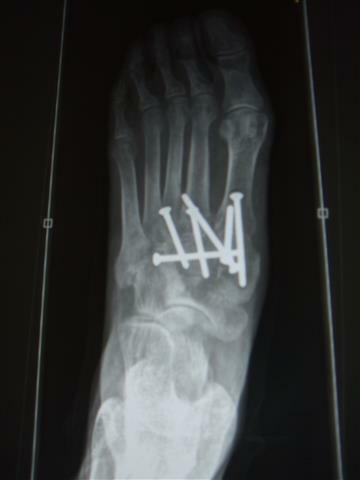 It’s this new formation of bone that will eventually take my weight, not the screws: they are only there so that things stay where they should be. 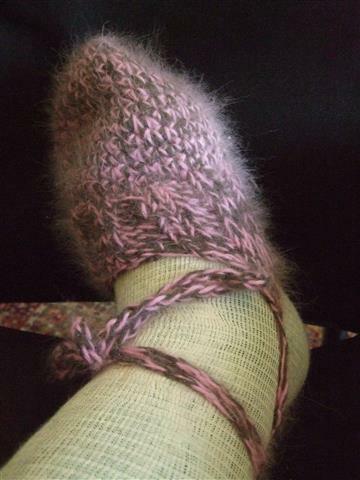 The little white block will allow me to put weight on my heel, but not yet by my toes because the bone-knitting process is not far enough along and putting weight too far forwards at this stage will break the screws. 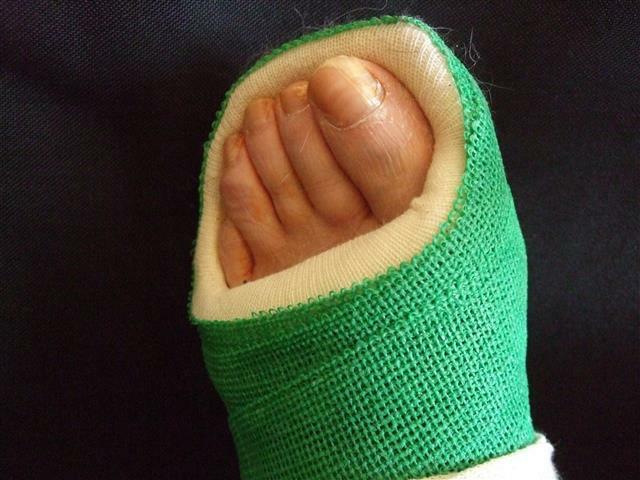 The second reason for not allowing weight near my toes is the dystrophy problem, since movement this part of my foot is seriously limited and very painful. I first get a white plaster layer into which the “block” is anchoured and after that the sickly hot pink that made me laugh, not least because of Himself’s eye-rolling, head shaking and expressions of “wait until everyone at home sees this one!” . I can’t say that the drive of several hours home was an easy one or that the whole procedure of touching my foot wasn’t painful, because any touch to the lower section of my foot brought me to tears, but the hospital staff were as gentle as possible and I’m trying desperately to see the “bigger picture” where this is one of those things that just have to be endured in the quest to make things better in the long run. 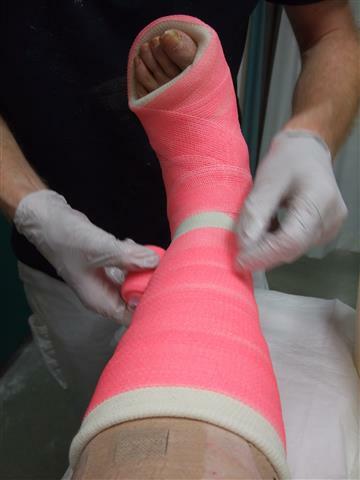 I will be honest and say that there were tears during the procedure and on the way home, that it was a hard day and I hope this is the very very last of the plaster casts… at least the squeal that Kiwi Daughter let out on seeing my new colour and her laughter at the joke played on Himself helped put a smile back on my face. Little Mr, who could care less about fashion, clothes colours etc as ten year old boys are apt to do, just looked puzzled and asked “what is Kiwi Daughter laughing about? ” and when told he replied “I don’t get it” , shrugged and walked away. 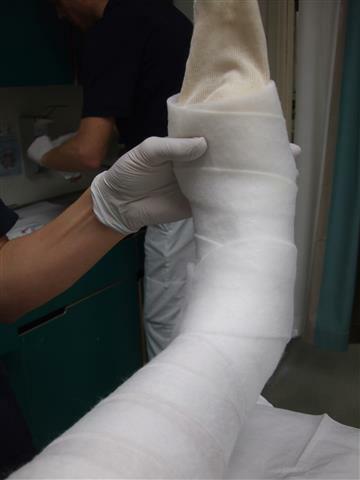 Another month in this cast… and then hopefully it will be the last I see of plaster of paris in my lifetime. As I found out in yesterday’s post, technology is changing at an ever increasing rate. It’s not just the introduction of new technologies, but also that old ideas are updated and improved in order to make procedures safer and more efficient. 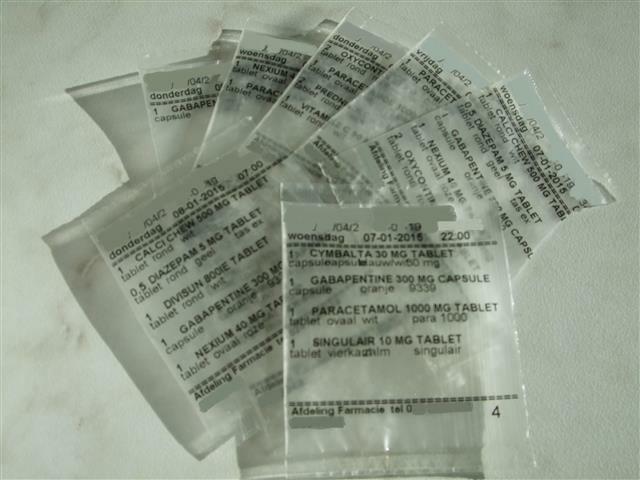 Take the simple act of administering drugs to hospital patients for instance: in the old days staff did the rounds with a drugs trolley and patients received a little cup containing a cocktail of pills. During my recent hospital stay things were done a little differently. Drugs came in sealed, individually labelled plastic bags that had printed onto them my personal details (edited out in my photographs for reasons of internet privacy), an itemized list of the name of each drug, the exact dose, it’s physical description, plus an indication of how many items in total should be contained in the bag. 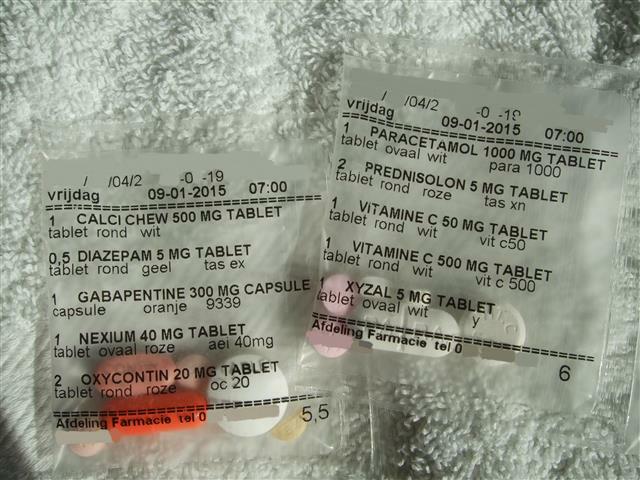 The time that each set of pills should be taken was also printed onto the bag, and whilst of course everything was double checked by the nursing staff on the ward, the main checks have already been done by the staff in the pharmacy, and so the opportunity for error was greatly reduced. 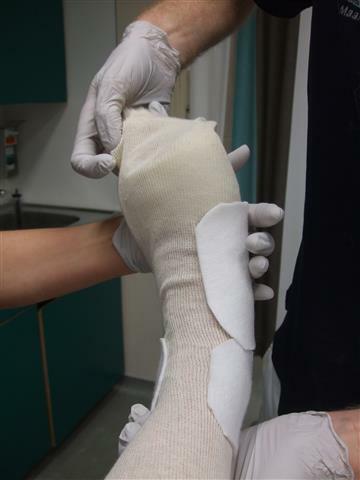 I think these are a brilliant idea, so much safer for patients and easier for ward staff too. 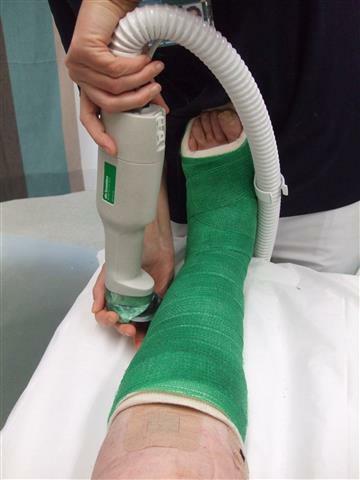 The second piece of technology that I have grown to love is a heavy plastic “foot” that has a very stretchy rubber elastic band around the top, it slips over my leg complete with plaster cast and allows me to sit on a plastic stool in the shower and get completely clean without getting a drop of water on my plaster cast. It certainly is a huge step up from any arrangement that involved plastic shopping bags, layers of towels and tape that I remember from my operation a kid. 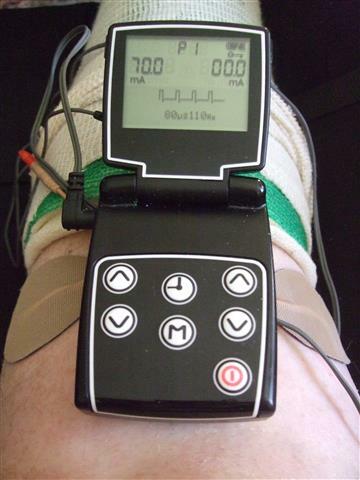 The third piece of technology that I’m doing well with is a “tens” machine. It’s a simple gadget that puts a current between two pads, a battery pack can be turned up to produce anything from a feint fuzzy sensation, or to the other extreme, a sharp tingling sensation that actually hurts. The idea is that it works as a distraction technique and my best analogy would be: ” say for instance Little Mr stubbed his toe in his bedroom, came running to me in the living room but hit his elbow on the door frame on the way, if his elbow pain was as bad as / or worse than the stubbed toe, then he wouldn’t really feel his toe pain any more”. 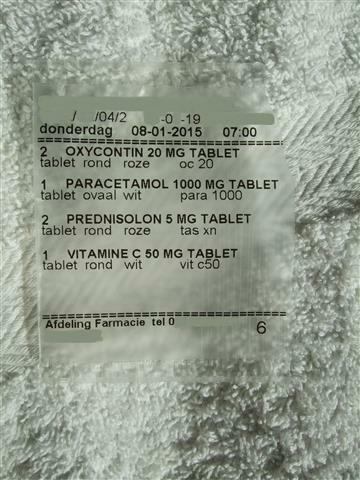 This distraction technique has a bonus benefit of reducing the amount of other pain relief (pills) necessary, so when the Pain team in the hospital I was operated in came with this idea I jumped at the chance, after all everything is worth a go, right? The reality is that sometimes the Tens machine helps and other times I’m tapping it and checking if it’s on or not because I don’t feel anything coming out of it at all, but mostly the reason it’s less beneficial is that the strength of the current just doesn’t go high enough to counteract most of the pain that I have at the moment. It definitely seems to work better for me during the day time, and I’m still struggling with excessive pain at night, but I’m of the mood at the moment that “any” help it gives , whenever, is bonus, and gratefully received. 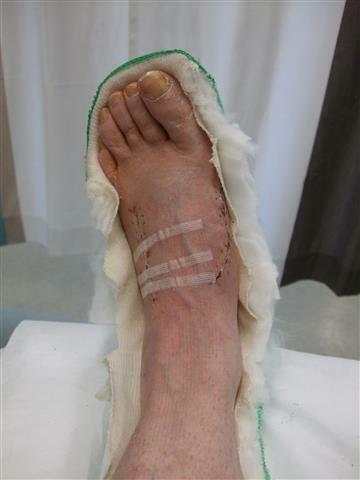 Even one month after surgery I can’t say yet that the pain is under control: during the day if my foot is hugely elevated then it’s fairly do-able, but once my foot is lowered it quickly starts being less than brilliant. Night time is a messy business of sleeping in fits and starts, trying and mostly failing to get comfortable and spending at least parts of the night awake waiting until enough time has elapsed to take a top-up dose of pain relief. 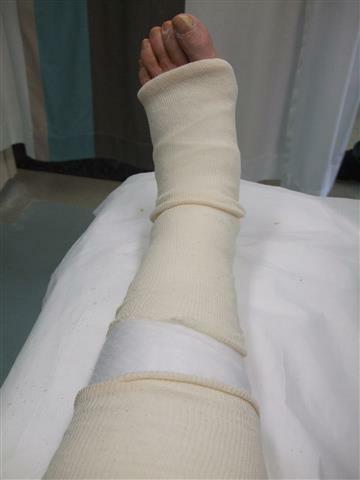 The surgeon warned that foot operations are particularly painful, and this coupled with my very low pain tolerance and already extended used of morphine, probably means it’s not surprising that it might take a while for the pain levels to settle down. The head of the Pain clinic has been in touch twice for telephone consultations and I have strict instructions not to attempt to decrease pain medications any time soon. Apparently this is because otherwise here can be problems to get things under control again, and the stress of having out of control pain extends the time my foot needs to settle down after so much internal surgical meddling. Basically in layman’s terms I need to keep my foot doped to the max so that it doesn’t wake up to the fact that half of it has been rearranged, even if said rearrangement was to put things back the way nature intended it to be. Either way it’s still one day at a time and whilst some days are better than others, but on a positive note, in general, I can see an improvement in the right direction with every subsequent week that goes by. 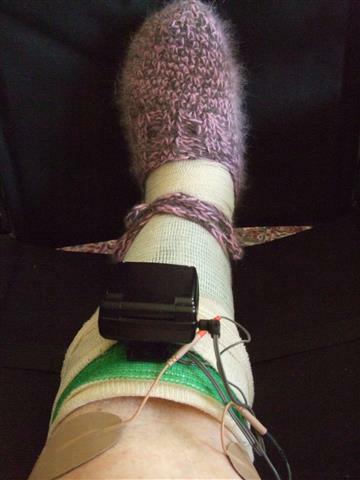 Technology certainly has come a long way and I’m willing to try out everything so that we can speed up the healing process. What works or not may remain to be seem but if you don’t give it a go, then you’ll never know right? 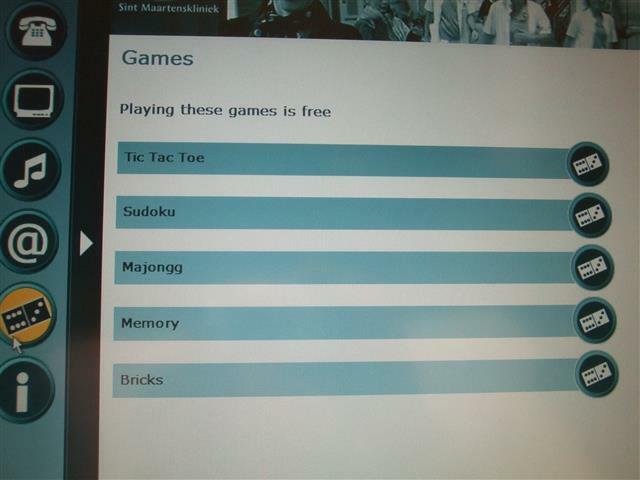 So bring it on, gadget guinea pig here, ready and willing. 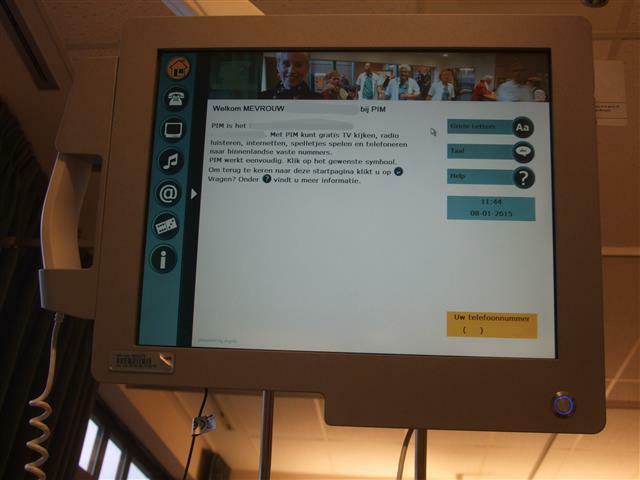 Technology has come a long way in recent years and within the medical profession and during my recent hospital stay I used many “old” things that have been updated to fit into the modern age. I’ve had surgery as a kid, teenager, young adult and several times as an adult and each time I’ve been impressed by the updates in technology that allow the patients to have a less stressful stay. As a kid I had to stay in hospital for long enough that I had school lessons there. It was in the old children’s ward in Christchurch Hospital in the South Island of New Zealand and the massive brick, long, high ceiling rooms had a long row of beds along the wall and swing doors at either end. The bigger kids were in the long row of beds in one of the long rooms and in the long adjoining room on the other side of the wall, were the toddlers and babies in their bassinets and cots. I clearly remember getting into trouble for having wheelchair races with a fellow patient: a boy called Johnny, and making so much noise in the next room that we woke up a baby, who’s cries set off the next one, and then the next, until the entire row bassinets and cots contained a near full compliment of bawling infants for the staff to pacify. I’m not certain if it was before or after that, that a teacher arrived at my bedside along with the dreaded school workbooks that I thought I’d been lucky enough to have given the slip. I remember that I also got homework to do which I though most unfair if a kid were in hospital. 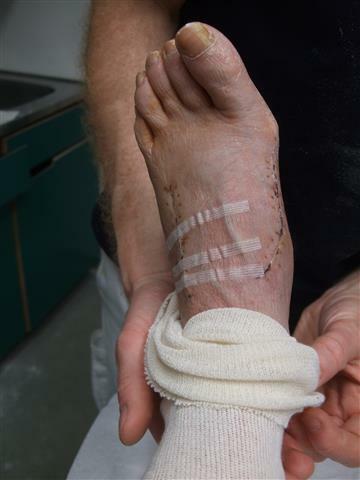 I’d had operations on both feet to straighten severely bent toes (yes, there is something going on with me and feet) and I remember my parents standing by my bedside with a lady who informed me that she was going to teach me to walk again. I remember laughing out loud and telling her indignantly that that was silly because “of course I knew how to walk“, and before they could stop me, sprang out of bed to prove it and landed in an startled heap on the floor. It became a family story at my expense for years afterwards of course, and took a long time to live down. During my stay in hospital I also remember my parents visiting and having the bright idea of feeding the ducks. The Avon river ran though the grounds and the weather was lovely so it seemed to be a good idea. The first shock was that we got there via a series of long outside metal ramps which were like long snaking fire escapes (which indeed they were), since we were several stories up these open metal ramps with views through the gaps to the ground far below, terrified me both on the downwards journey and the return. Installed on a blanket on the banks of the river, we fed an ever increasing number of ducks as word got out that a free lunch was on offer. At some crucial moment a duck squabble broke out over the last remaining pieces of bread and the ducks started taking bites at my toes, which had been painted in a bright yellow antiseptic something in the operating theatre, and which the ducks obviously thought was bread. I started screaming and seconds later there was a frantic evacuation from both ducks and parents with kid … another family story that my parents remembered as being far funnier than I did. Because I wasn’t allowed to put weight on my newly straightened toes, I had to learn to “walk” indoors barefoot on my heels only, but needed a wheelchair for outside and longer distances. Once back at school my twin sister took great pleasure in dumping me out of my chair and onto one of the wooden benches near the playing field, talking the chair for a spin with her friends. On several occasions I had to be rescued from my lonely spot after the bell rang by a teacher who’d noticed me missing from class and the wheelchair abandoned somewhere around the school grounds. Back in the hospital as a kid, I remember being impressed by the fact that there was a small communal room near the end of the ward that contained a television. 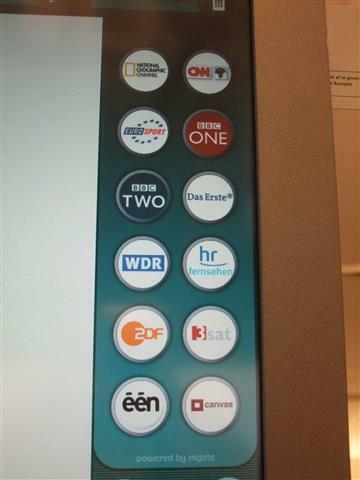 How things change: during my recent stay I had a television all to myself and not just that, but it was a touch screen system with a handset on the side that allows patients to select radio, television, internet, electronic games and music options or to make phone calls inside the Netherlands. 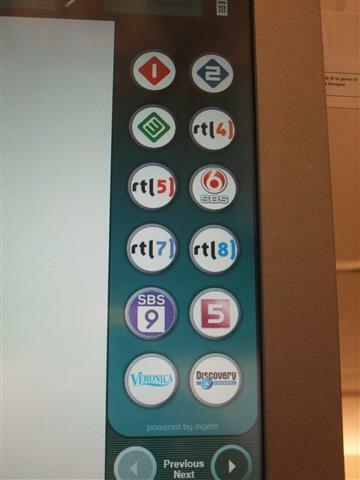 There were about twenty radio station choices, about forty television station ones and five electronic games. 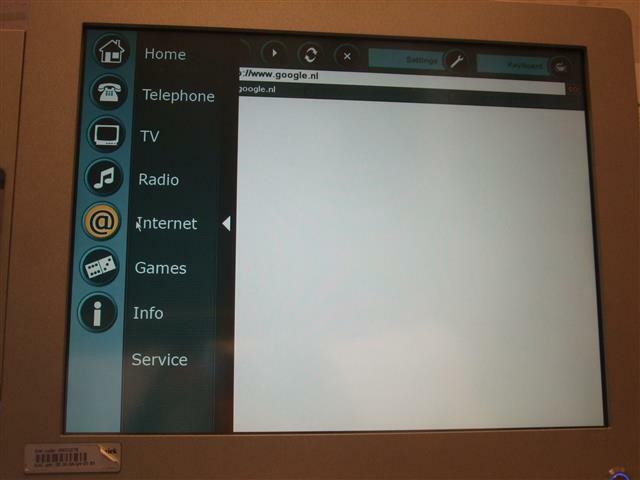 All accessed by the touch screen and a set of headphones per patient completed the private entertainment system. I must say that in the wee hours of the night when I was struggling with pain, having some older blockbuster Hollywood movies and various documentary channels were certainly appreciated, even though I learned more about wilderness survival techniques and the drama of living / working in remote places than I ever needed or particularly wanted to know. Ice fishing, mountaineering, bear evading, logging trucks and survival skills aside, it was nice to be able to put the headphones on and try and focus on something other than the fact that I still had an hour and a half to wait until I could have my next morphine top up. During the day Himself could telephone me directly, something I especially appreciated on days when he couldn’t visit and I even got a phone call from my father in New Zealand. 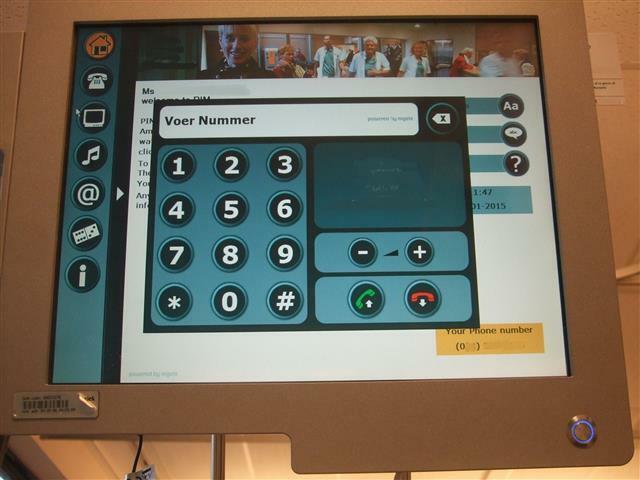 The “old days” of the hospital I knew as a kid, are light-years away from the technology of today… and who knows what the modern hospital of the future will look like one day? 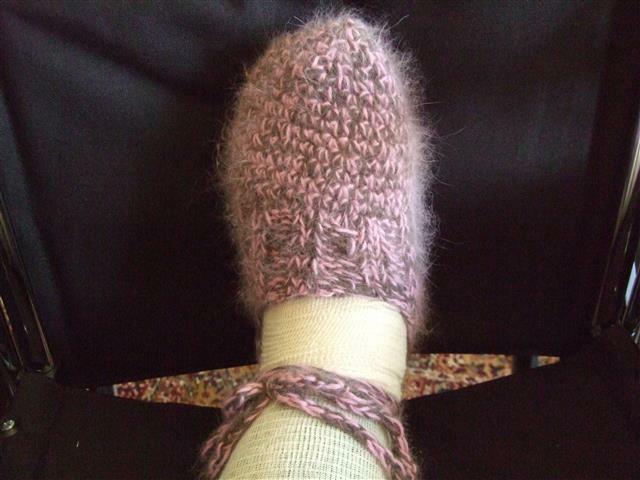 Put A Sock In It …. Or A Hat, … Or A Sock Hat! I have some wonderful friends… one came to visit shortly after I arrived home from hospital and asked if there was anything she could do for me and I replied that maybe there was. One thing that anyone who has been in foot plaster will tell you, is that your toes get really cold. 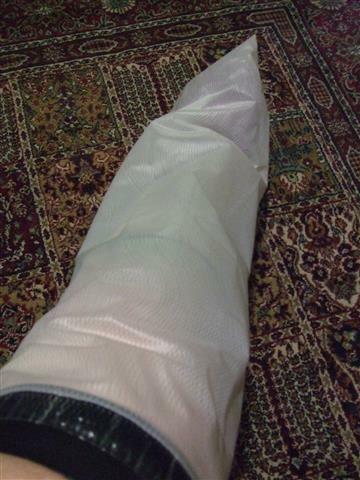 If I’m going outside then I have a thin blue elasticated plastic slip-on ” shoe cover” , of the sort that people wear over their shoes in indoor swimming pools if they have to be pool-side with their street shoes on. 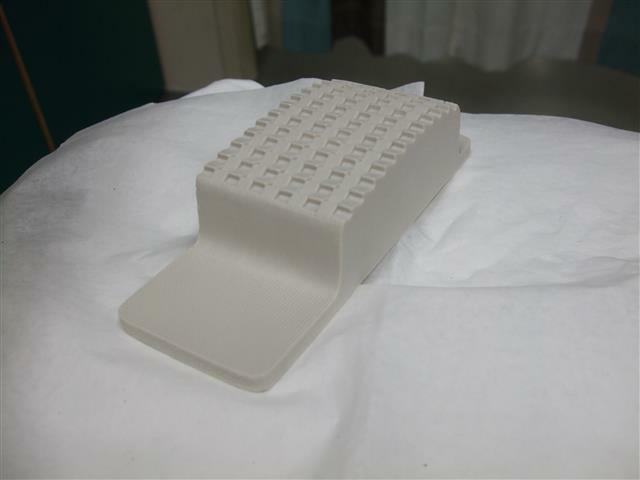 Hospitals issue the same sort of shoe covers to protect plaster casts from rain, puddles and dirty pavements and they are excellent at doing that (for a while at least) but in winter, these little plastic slips do nothing to keep your toes warm whilst outside during trips to hospital etc. 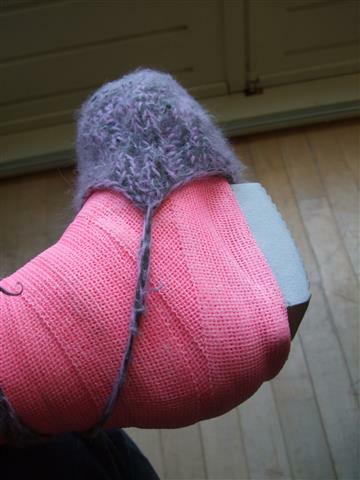 My toes have been freezing cold since I made the journey home from the hospital, so, knowing that this friend is able to knit, I asked her if it might be possible that she could knit me some sort of sock that would fit around my cast. 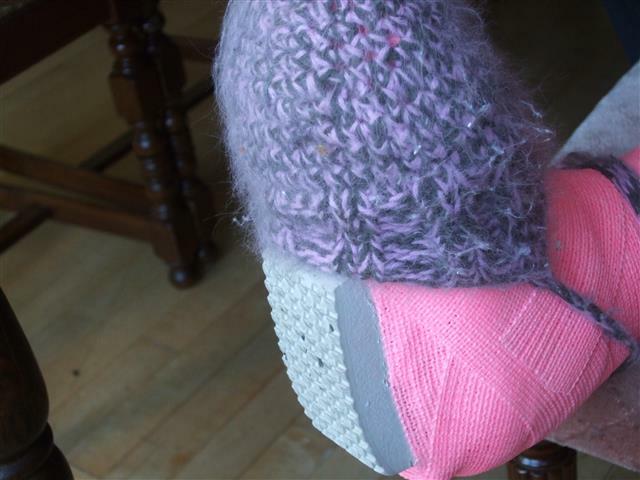 She came up trumps and within a week or so I received a lovely “sockette”, or maybe I should be calling it a”foot hat” that is doing wonders in keeping my toes warm both inside and out, and I’m totally loving it!!! This person knows who she is, she’s a fabulous knitter as well as a fabulous friend!